The 2014 drag racing season is underway interstate but one racer is prepping his machine especially for Darwin. 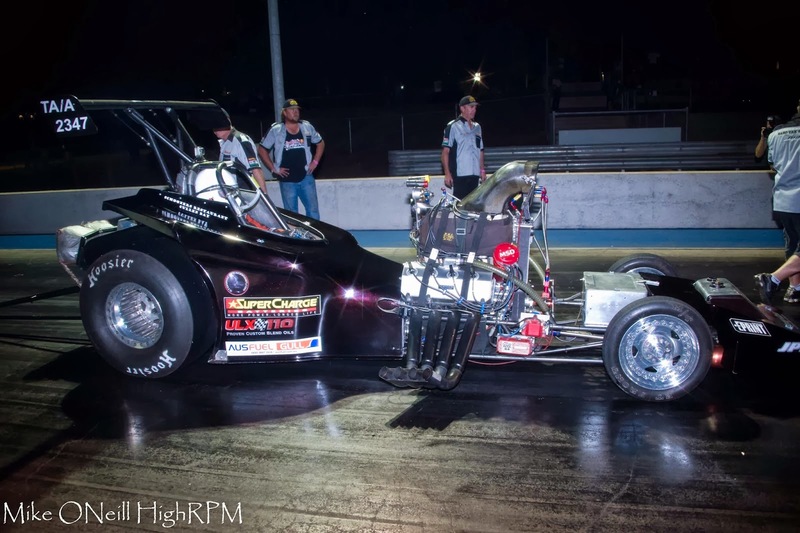 Alice Springs based Mark Probst, owner/driver of Australia's quickest Top Alcohol Altered advises that this year is one he wants to nail that sub 5 second pass over the quarter mile. The car has run sub-4 second passes on the 1/8th mile and a shut-off flat 6:00 second pass at Hidden Valley Drag Strip in 2013. With some expert tuning tweaks from his crew chief and some go-fast parts added to the race car, Mark advises that this lady wants to rock. The car, being an altered, is a handful to drive and does not have the luxury of funny car body aerodynamics to assist, but this car is a 5 second winner and YAK Racing want Darwin to see it! The race car is a real crowd puller and achieves a lot of exposure every time he rolls out onto the pad. With the assistance of Supercharge Batteries, EPRINT Darwin, Schooners Bar & Grill, ULX 110 Oils & JPM the team is hoping to create some history for the Darwin fans. 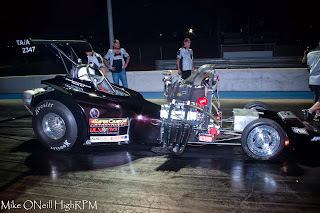 Mark's plans are to attend the HVDRA Titles meets and the Pro Series ANDRA round to maximize his efforts to get the record that is knocking on the door. The team is still pursuing a major sponsor so if you're interested contact Mike through the YAK Racing Facebook page or via HighRPM who will pass contact numbers on.